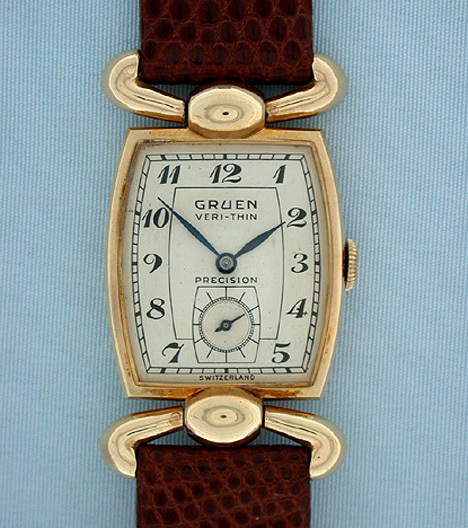 Gruen Veri-Thin gold filled vintage "almost driver's" wrist watch with fancy flexible lugs circa 1935. Very attractive design which can also be worn at the side of the wrist like a driver's watch. 17 jewel movement. Original dial and original crown. Triple signed.